Unlike regular tours, this private option lets you make stops at places that interest you along the way. Our driver Michael was amazing!! When he picked us up, we asked if we could go to Blarney Castle and some other locations that he would think we would like instead of going to the Cliffs of Moher. We had seen the Kerry Cliffs the day before and loved them but wanted something different. So he took us to see a beautiful little church on an island in the middle of a lake. It was gorgeous and so peaceful. Then on to Blarney Castle which really is a must see. He also took us to see Ross Castle and Muckross House. So glad we changed our minds and had Michael as our driver. 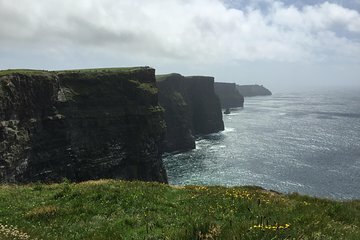 The Cliffs of Moher Private Tour was so amazing. Derek, the tour operator, dropped us right down by the boat that we were taking to view the cliffs from the water. He was personable, helpful and very accommodating!